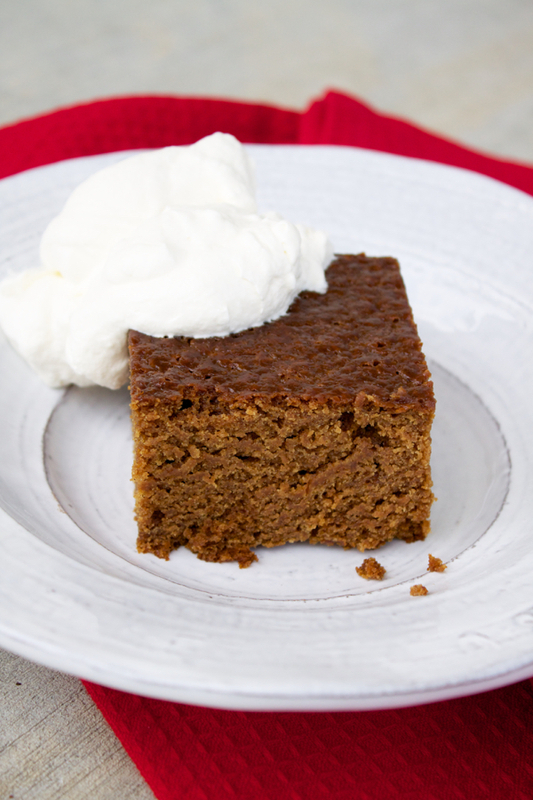 I love this gingerbread cake and all its deep, rich molasses-brown color and ginger-spicy flavors. The texture is my favorite part – it’s a bit like pound cake in its density, but kind of rustic, with a heft to the crumb that you don’t find in a more light-and-fluffy cake. You could eat it with a bowl of soup and it would be more than a meal, is what I’m saying. Maybe one day I’ll remember to take pictures before I start hacking away at things? Maybe? Shortly after I took the gingerbread pictures, my girls and I inhaled the model piece. 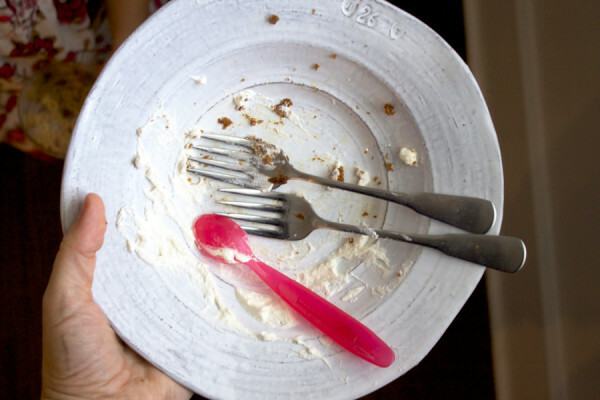 This took about 2 minutes, which isn’t necessarily good behavior for people who had basically just finished breakfast. Therefore, I recommend that you just go ahead and serve it for breakfast in the first place! Enjoy – and Merry Christmas, friends! Preheat the oven to 350. 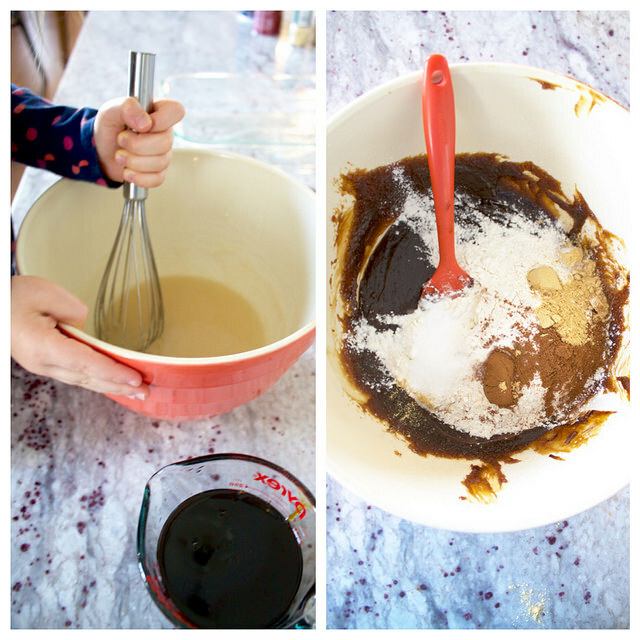 Mix the sugar and melted shortening vigorously together with a whisk (or you can use a mixer). Whisk in the molasses. 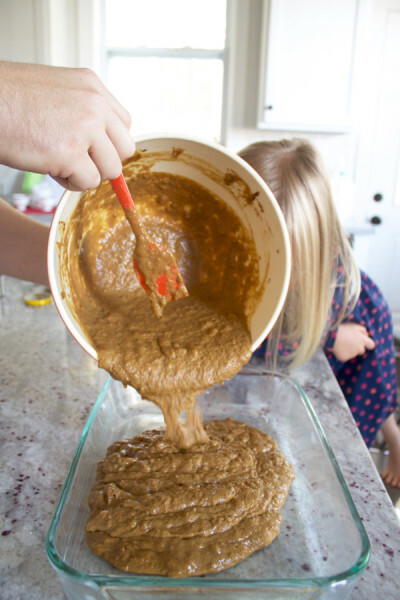 In a separate bowl, mix together the flour, baking soda, ginger, cinnamon, and salt, and add to the molasses mixture alternately with the hot water, stirring very gently in between additions with a spoon or spatula. Do not overmix! The batter will be a little lumpy. 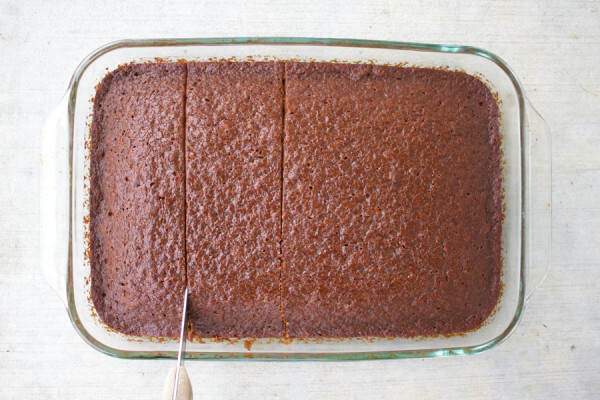 Pour it into a greased 9×13 pan and bake for 35-40 minutes, until a toothpick comes out clean. 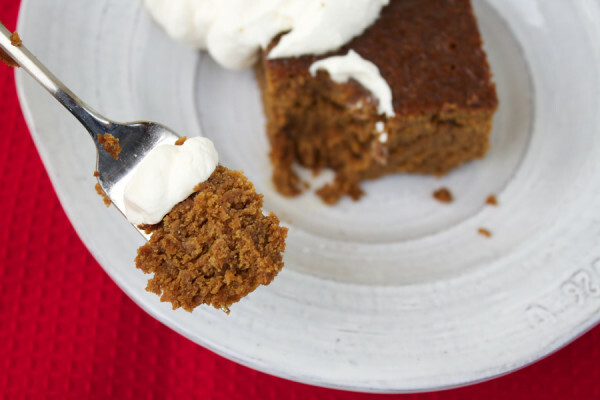 Serve with generous dollops of whipped cream! This recipe came to my family from the Pittsburgh Press, many many moons ago. You can make a half recipe in an 8×8 pan, and it bakes for about the same amount of time! Can this be a breakfast food? Cause YUM!! !